It is a commonplace for public opinion that there are already too many diagnoses for the ills of the world, but no effective cures. If so, one may wonder: What is the need for yet another diagnosis tool? Why a think tank that reflects on the international and global issues? This is a reasonable question and yet the university, in its role entrusted by society, is in a particular position in this regard since, by its very nature, its diagnoses automatically become cures. Why is that? Because our task is to train the people who will take the global lead in tomorrow’s world, or who will advise those in power. Each and every one leaving the doors of the university is a tool for change; each and every person who applies the knowledge acquired during their education period is rearranging the world. A professional trained to take action is potentially more efficient than a code full of decrees. We need people whose decision-making process is based on deep knowledge rather than relying on superficial information. We need people whose advice is based on rigorous analysis. We are training agents of change in the world.  Such is the purpose of the Global and International Studies Program at the University of Salamanca. A raison d’être, a reason for acting, a reason for living. A cure for the ills of the world.